So without further ado, here's my swatches of my entire Coastal Scents Hot Pot collection. These swatches are all without primer and taken in sunlight. 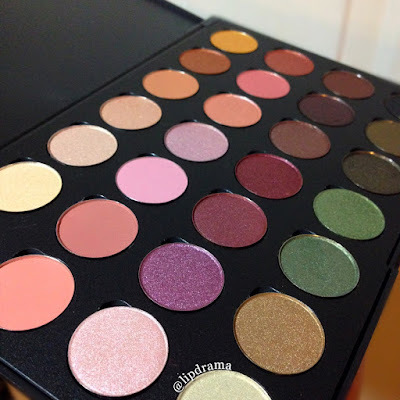 First up will be the swatches of my custom palette (pictured above). These swatches below are from the Winterberry and Fall Festival palettes, which are pre-made 12 pan palettes. When on sale you may find them a better option to get the shades you want plus more for less, which is why I purchased 2. However, I ended up with 2 duplicate shades not realizing they were already in these palettes. Also some of the shades might have been switched out to go in my main larger palette but for the most part these are from the two pre-made palettes. And finally here are some shades I recently picked up during the last hot pot sale. I highly recommend these eyeshadows for anyone whether you have quite the collection already or are just starting out. You can even find dupes among them for more expensive brands. 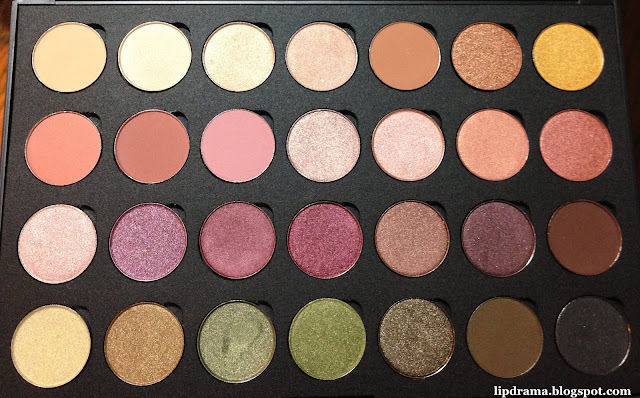 My faves that I think are a must have are Flesh tone, Oatmeal Tan, Incognito, Bright Copper, Peach, Raisin Berry, Chocolatier, 18 Karat Gold, Cherry Moss and take your pick among the entire 3rd row from my custom palette with all the greens. Also Oktoberfest is a must have as a crease or transition and I was finally able to snag one, which will be here soon but trust me you need it. I hope you found this post helpful. Let me know your thoughts on the brand or if I convinced you to finally give them a try. Shop the site here and use the code at checkout to save $5 off your order. I made an order a little over a week ago during the sale, and my package SHOULD be here next week!! I got 13 shadows!! 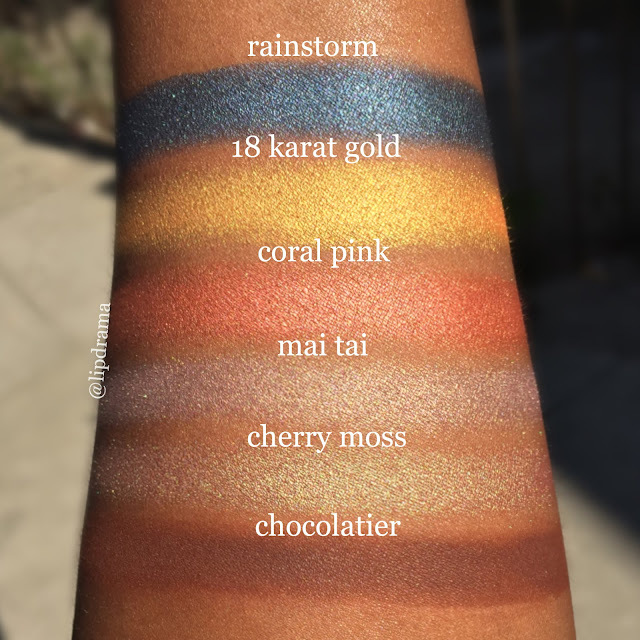 Five of the ones I ordered are in your collection, so it's nice seeing them swatched on a darker skin tone for when I put these shadows into my kit!! Thank you for the great swatches!! You're welcome! Some shades like the shimmers must be seen on video to better see their beauty. I have posted some of my Instagram page but I'm certain you will enjoy them and be back for more.